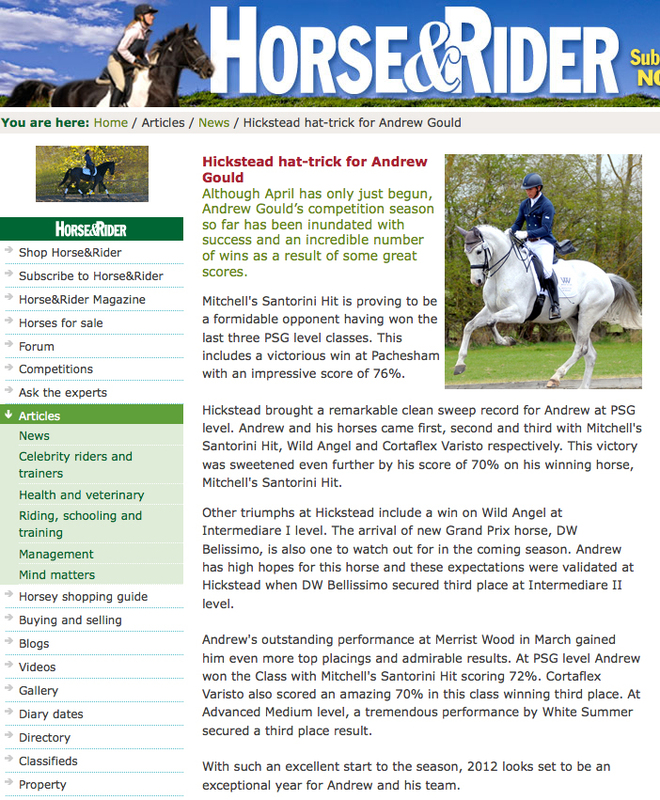 Andrew supported his friends at Horse & Rider magazine and the Breast Cancer Campaign by supporting a brilliant charity event the magazine held. Andrew received the letter below, thanking him for his support and telling us more about the show. 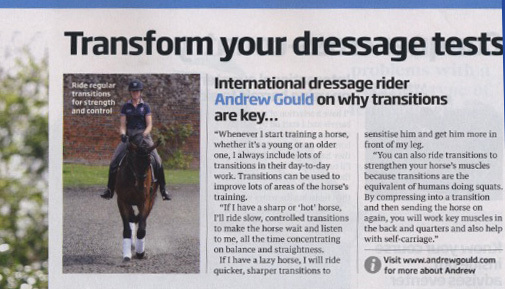 I wanted to write to say a big thank you on behalf of all of us at Horse&Rider, for his kind donation of a lesson for our recent Breast Cancer campaign Show. We were really pleased with the support and attendance and I think from the feedback we have received everyone had an enjoyable day, and more importantly great fun! At the moment, it looks like we have raised in the region of £1,300 which is absolutely amazing. I have also attached some images of the Pinkest combinations! 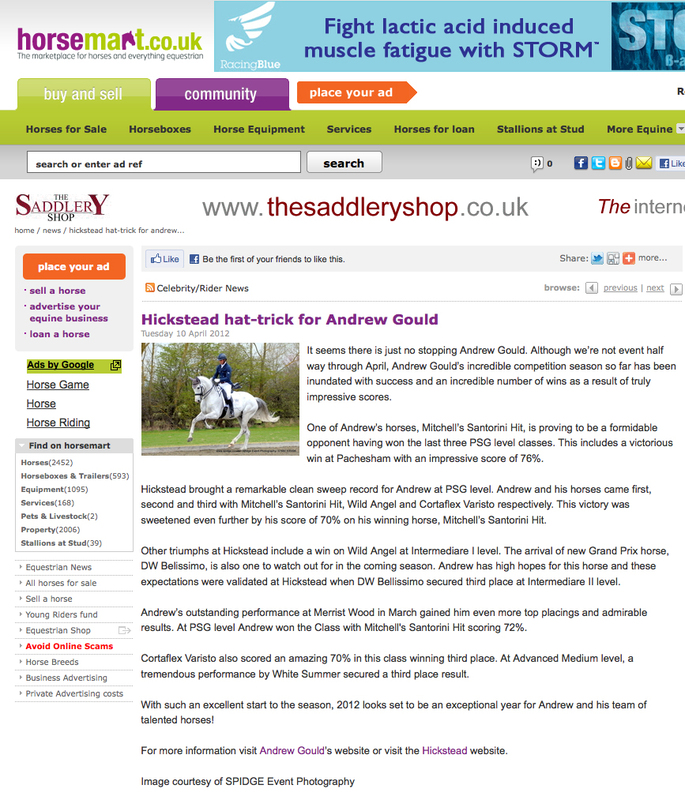 Andrew will be the Guest of Honour at the Ripley Horse and Rider Charity Fashion Show With Prize Raffle. The special event will be on Thursday 17th July from 6-7pm and is in association with the Breast Cancer Campaign. Models will be coming down the catwalk wearing the limited edition pink Puffa Breast Cancer Campaign range donated to Breast Cancer Campaign. The fashion show will also show case the latest spring/ summer clothe ranges, including children’s wear clothing and accessories. 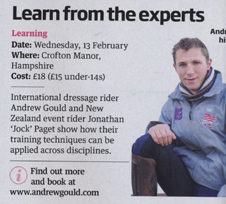 Enter the raffle to win a range of fantastic prizes including lessons with International riders and trainers in dressage and show jumping, lessons at top riding centres inc Laris Farm and Kingston Riding Centre, signed caps and clothing have also generously been donated, there is even a polo lesson from Sussex Polo Club and a years free membership to Bookham Riding Club. Raffle tickets cost just £1 each and will go on sale in store from June! All monies raised will be donated to Breast Cancer Campaign. There will be an amazing 10% shopping discount on everything in store on the evening. On 23rd June Andrew rode Craig Rawlins’ Korenbloem Varisto to victory in the Medium 73. 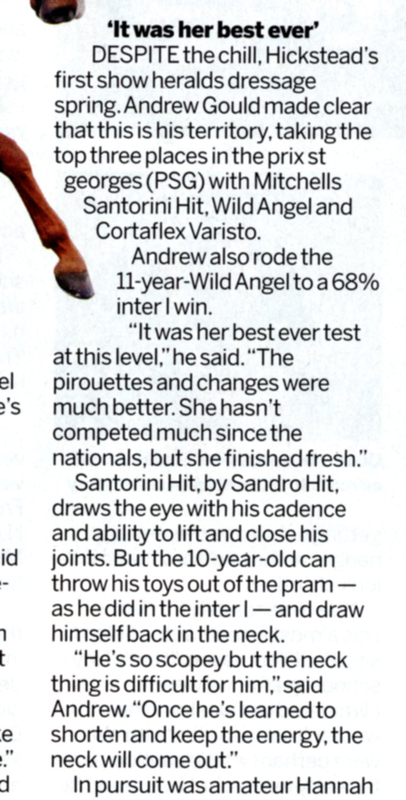 The six year old stallion has only been with Andrew for a year. 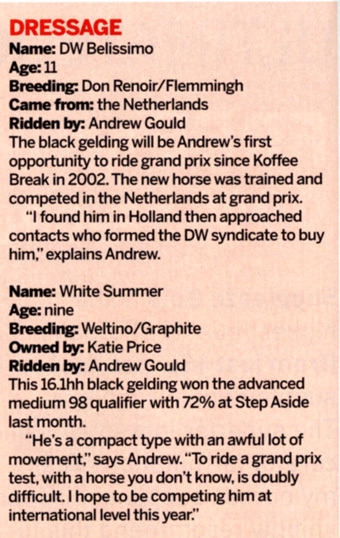 This was only the stallion’s fourth competition and Andrew is pleased that he was relaxed and performed well in the competitive environment. 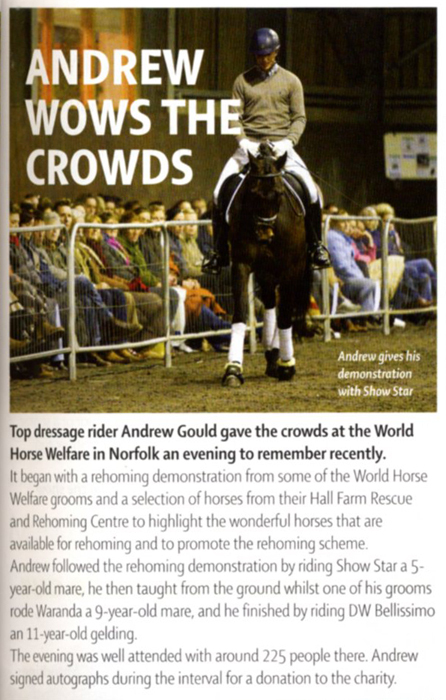 Andrew will be performing and judging at the RSA Pantomime Horse Derby in support of the Breast Cancer Campaign. 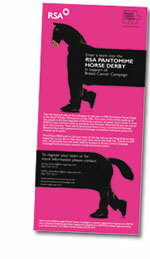 The RSA have organised a Pantomime Horse Derby at the Royal Windsor Racecourse on July 30th. 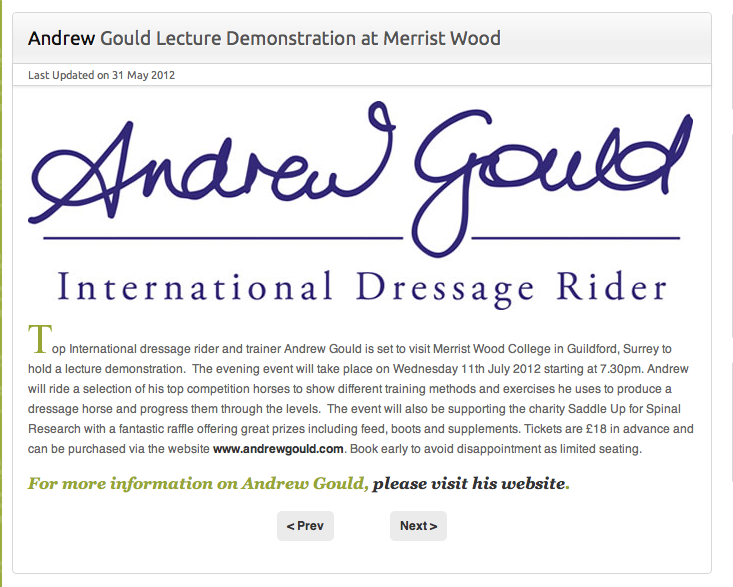 There will be pantomime horse races, and Andrew will perform a professional dressage demonstration and then he will be helping to judge a pantomime horse dressage competition. 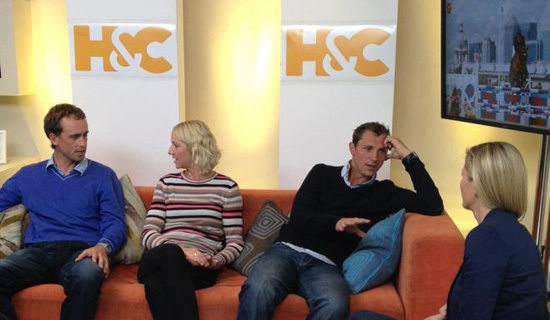 The whole event is set to be great fun while helping to support and raise funds for a very important charity. If you would like to see Andrew perform or get a team together to compete in the pantomime fun then please download the flyer to find out more! Tickets are £50 each. All proceeds from the event shall be donated to Breast Cancer Campaign.